From attending thought-provoking showcases to shopping for a good cause, to attending the filming of a live show – we’ve got your September plans covered! Presenting his first solo exhibition after more than 11 years, acclaimed Singaporean photographer and art gallerist Chua Soo Bin showcases his beautifully intimate portraits of late Chinese painter Wu Guanzhong through his creative travels and artwork.Shown for the first time in Singapore, this comprehensive collection of images will shine a light on Wu’s love for Singapore (he donated many of his paintings to our country back in 2008), as well as the stories behind some of his most significant artworks. The annual Israel Film Festival is back for its 25th edition, along with a host of critically acclaimed films that will provide insightful glimpses of Israeli culture and society – be prepared to have your heartstrings tugged on, ya’ll! In collaboration with four artists – Apichatpong Weerasethakul (Thailand), Ho Tzu Nyen (Singapore), Nguyen Trinh Thi (Vietnam), and Park Chan-kyong (South Korea), this exhibition features video installations and films that tackle relatively “taboo” topics like the paranormal, and myths and rituals rooted deep within traditional constructs. Inspired by research from their own cultural and historical backgrounds, each artist created works that combine fact and fiction, raising crucial questions about power and authority, construction of narratives, repression of identities, and collective trauma. A decade since his graduation from the National University of Singapore, Dance Blast alumni Chen Jiexiao is set to wow audiences once again, taking the stage with a performance that expresses the struggles one faces when in love. Drawing inspiration from how people make decisions based on rationality or impulsion when they’re in a relationship, this dance piece will cast a light onto the importance of approaching such situations with both logical and emotional minds in equal measure. Take a walk through this solo exhibition by environmental artist and educator Zen Teh, featuring two bodies of work – Garden State Palimpsest and The Imperative Landscape. 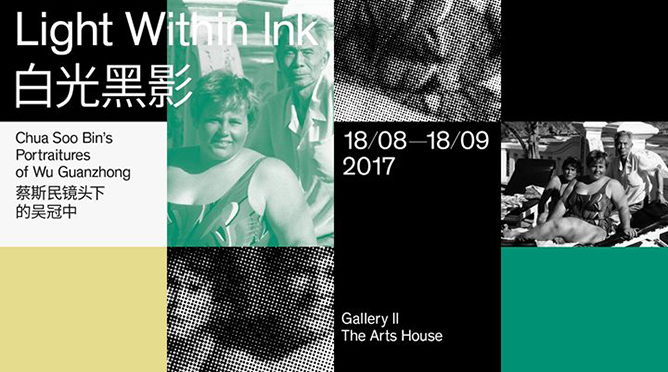 Garden State Palimpsest explores Singapore’s constantly changing landscape and its residents’ relationship with the land. The Imperative Landscape explores the suffering of Thailand’s forests at the hands of urban development. But at the heart of it all, Zen’s photographic images seek to trace and achieve a state of wilderness that urban dwellers (may) have never experienced before. Book lovers out there, it’s time to rejoice! 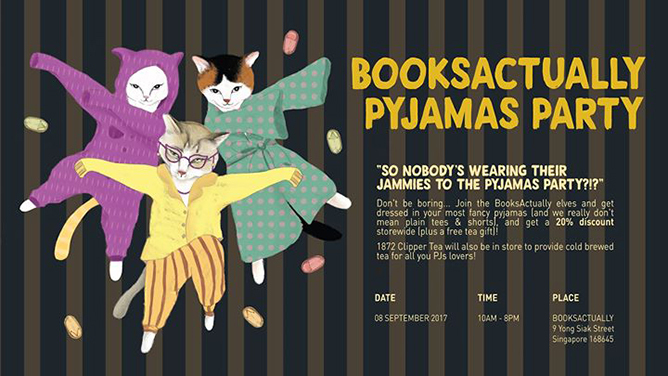 The elves over at our favourite resident independent bookstore have planned a pyjamas party just for you! Simply turn up in your best jammies and you’ll score 20% off your bill for that day. There’s also be cold brewed tea prepared by the good folks over at The 1872 Clipper Tea Co. for all your thirst-quenching needs. And hey, we heard there might be a freebie included in your shopping bag… A specially brewed cuppa, comfy PJs and a good book – is there anything better than this? We’d think not! This year, The Fandom Menace is looking to raise awareness regarding the dangers of depression and suicide, and have brought together local bands for this fundraising concert in celebration of the above three musical heroes while also giving attendees a healthy outlet of self-expression. All proceeds gathered will go to a local suicide prevention organisation. oBikes are being put to even more good use this September! 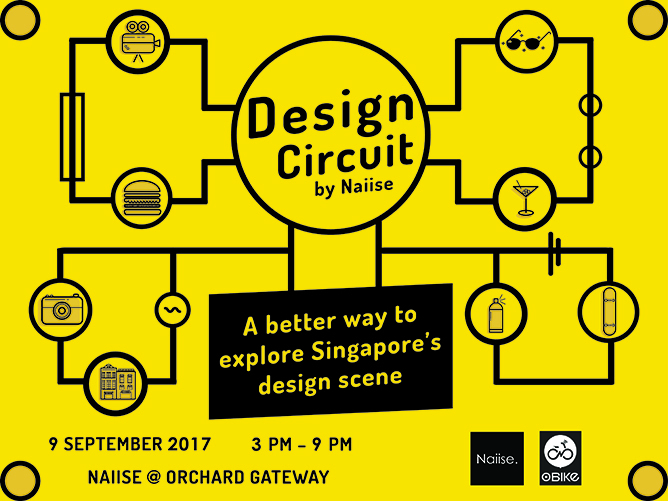 Partnering with leading homegrown design and lifestyle retailer Naiise, Design Circuit encompasses a cycling trail that will allow participants to explore Singapore’s most interesting design, lifestyle and heritage spots in the heart of the city. Each of the 10 pit stops have been carefully curated for their strong design influence in one or more of the following fields: retail, architecture, craft, art and food; and participants will be able to learn more about the pit stop partners’ nature of business and the design field they represent. Our very own version of Comic-Con is back and there’s plenty to geek out over at this year’s two-day extravaganza. Come dressed in your best cosplay costume, get your game on at the exciting tournaments or simply soak up the vibrant atmosphere. Don’t forget to take home some of the exclusive merchandise – limited edition figurines and even life-sized installations? Just take our money! Location: Sands Expo & Convention Center, Level B2, Halls D, E & F.
For the past 11 years, Music Matters Live has been Asia’s premier independent music festival that helps create musical connections globally. 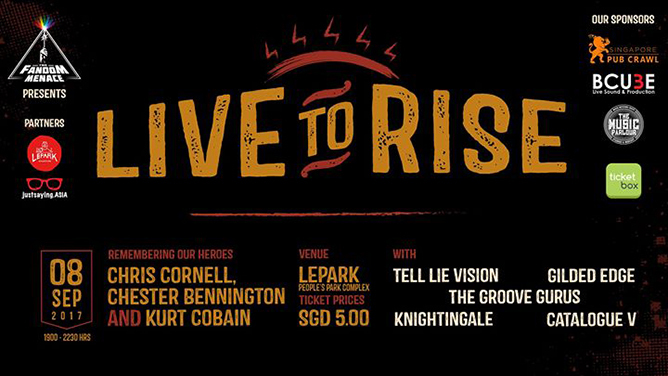 And its 7th installment is taking place back here, showcasing five nights of music discovery. With a plethora of local and international artists showcasing their best work, who will you discover this year? “Have you ever really really wanted to break up with someone, but you cant coz you know you’ll be homeless – so you hang in there?”. 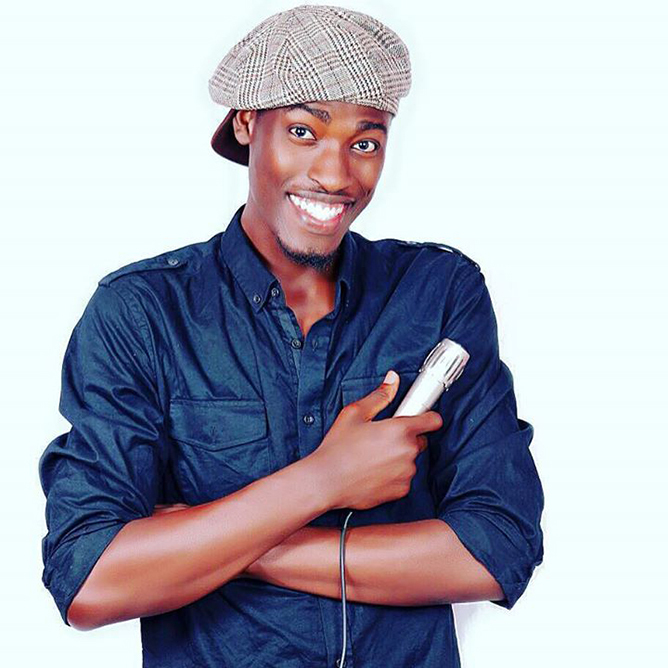 Top Berlin comedian Captain Khalid knows exactly how that feels, and after a series of successful shows and a hugely successful world tour with “The FunnyFellas”, the comedian is now heading to Singapore to film his new special, “I Think I Am Single Lah”. Effortlessly funny and so relatable, this live filming will definitely leave you in stitches by the end of the show. 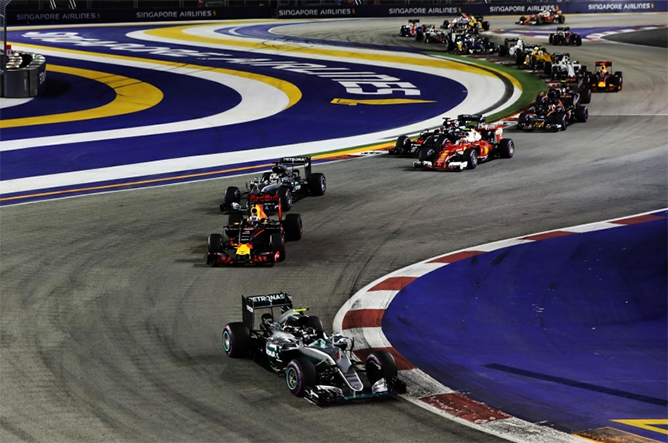 Ready your vocal chords for this year’s edition of Singapore Grand Prix, for you’ll be doing a whole lot of cheering throughout the three-day affair – whether you’re witnessing the adrenaline-pumping action of the night race or screaming in support of your favourite musical acts, which includes a star-studded lineup featuring The Chainsmokers, Ariana Grande, OneRepublic, Calvin Harris and more! In his 1890 provocative novel, The Picture of Dorian Gray, author Oscar Wilde boldly declared in the preface of the novel that “all art is quite useless”. Fast forward to 2017, SMU INDANCITY is offering a response to Oscar’s view on the arts, and has put together a triple bill of performances that explores the role and purpose of the arts in both our personal lives and society today following three different themes – art & beauty, art & society, art & the artist. 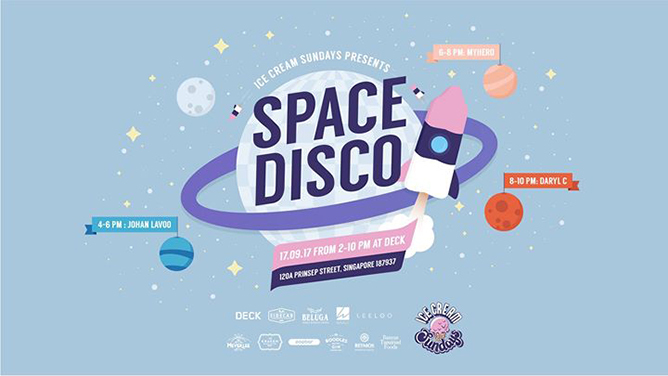 Party collective Ice Cream Sundays is back and they’re taking over DECK’s outdoor courtyard for a space-disco-themed twist on their Sunday party series! Grab your squad and dance the night away with special guest DJs MyHero (Disco de Laurentiis) and Daryl C (Darker Than Wax). Need some refuelling after all that dancing? Take a bite out of the delicious meals served by Sidecar Sausages and Banyan Tamarind, and then cool off with artisanal gelato popsicles from Popbar SG. Intergalactic space adventures, here we come! 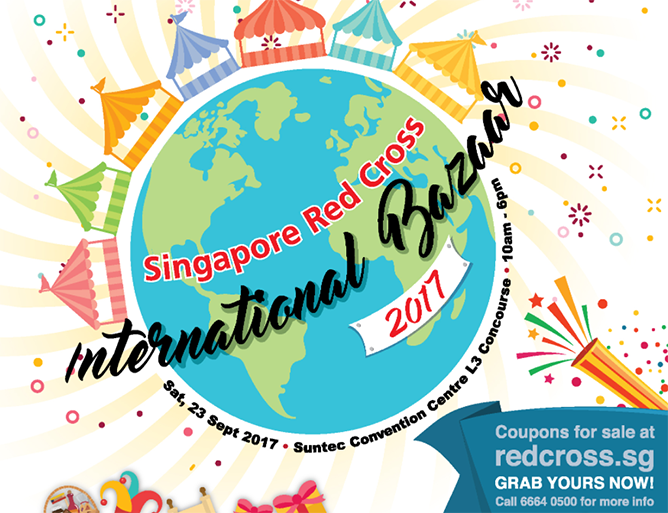 Come lend a helping hand to a good cause this month at the signature Red Cross International Bazaar to raise funds for local humanitarian services that help the disabled, elderly and less fortunate in our community. With 50 stalls encompassing diplomatic missions and local enterprises, savour F&B delights like Brazilian BBQ, Ceylon tea, Swiss raclette cheese and Ukrainian dumplings; while enjoying cultural performances in this carnival extravaganza. The sold-out smash hit of the 2016 Singapore Theatre Festival season is back! 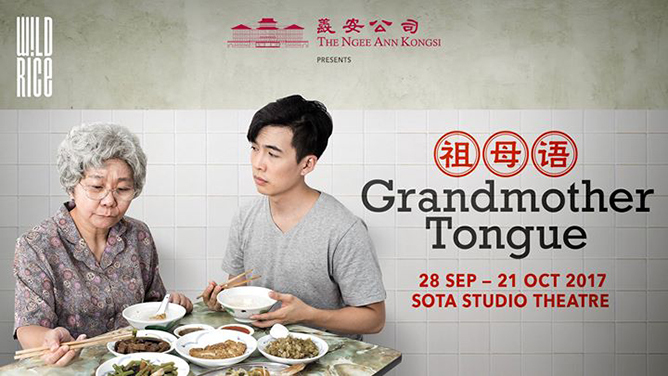 Come trace the struggle of a young man as he tries to connect with his 84-year-old grandmother who only speaks Teochew. Through various activities the pair partakes in together, the young man finally understands how his grandmother feels living in a linguistic and cultural exile. 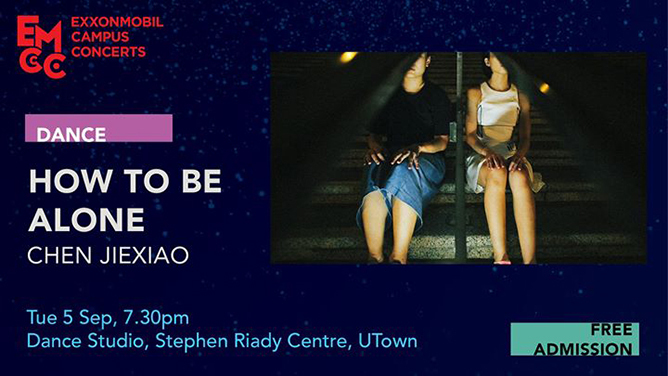 Get ready for insightful perspectives into the gradual erasure of dialects in Singapore and how it affects the communications and relationships across generations. After attending his first poetry slam, newcomer Neil Basu tried his hand at delivering his first spoken word poem at an open mic in Cambridge, MA back in 2013. Moving to Singapore in 2016, it was then that he fully embraced poetry slams, after which he decided to take the next step by writing his own long-form show. But the journey was rough, one that left him laden with self-doubt. So just what did he believe in, to make it all the way here? What else will you be up to this September? Let us know in the comments below! If you’re into minimalist, MUJI-esque aesthetics, you’ll definitely enjoy the product offerings from homegrown brand, IUIGA. IUIGA is a local brand rooted in the belief that quality does not equate to luxury. Sourced from manufacturers across South East Asia, you will find items from IUIGA similar to those at well-known home and living stores in Singapore at a fraction of a price. From our sneak preview at the IUIGA launch earlier this week, we’d best describe the brand as a cross between Japan’s MUJI and Miniso – with minimalist aesthetics mirroring the former, and the affordability of the latter. All the better to pretty up your spaces with! Nothing is cosier than Cotton Jersey. 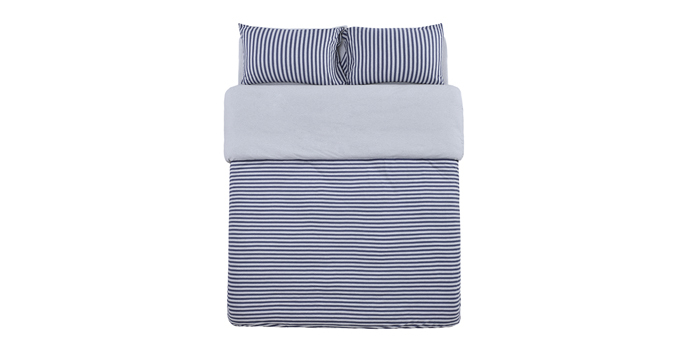 IUIGA Quilt Cover Set comes with 2 pillow cases so you can envelope yourself in absolute comfort for restful sleep. 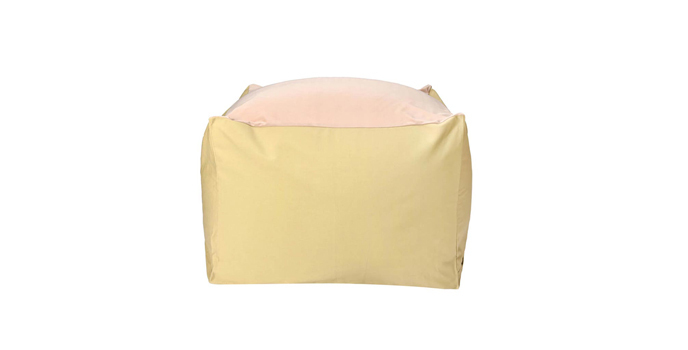 While the IUIGA Bean Bag comes with a free sofa cover in the colour of your choice, the MUJI Bead Sofa covers have to be purchased at an additional cost (ranging from $49 to $79). Both travel neck pillows are filled with super comfy Japanese micro beads. 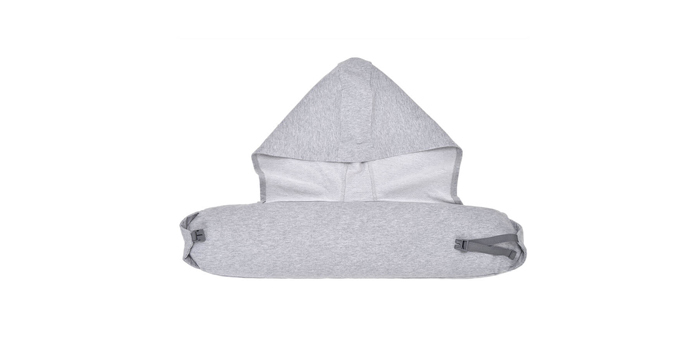 Sleep like no one’s watching because the hoodie shields you from pesky friends who might try to snap unglam photos of you while you snooze! 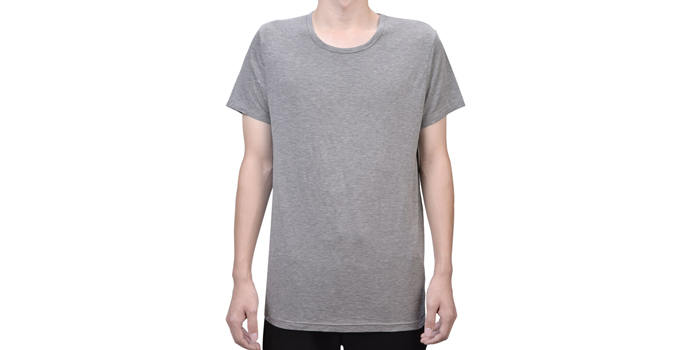 Both IUIGA and Muji T shirts are made of 95% bamboo fibre. IUIGA shirts are of a longer cut but you can expect the same soft touch of fabric. Muji fans who were disappointed when they stopped producing their minimalist pencil case can rejoice again! IUIGA produces the same ones at a cheaper price. Pick between a range of water- or oil-based stationary. 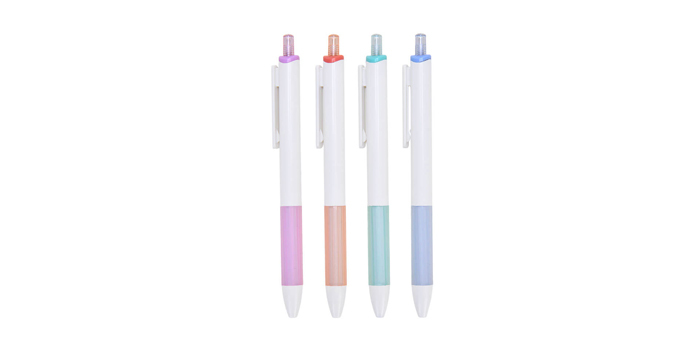 Their super cute pastel hues would probably make you more excited for schoolwork too. 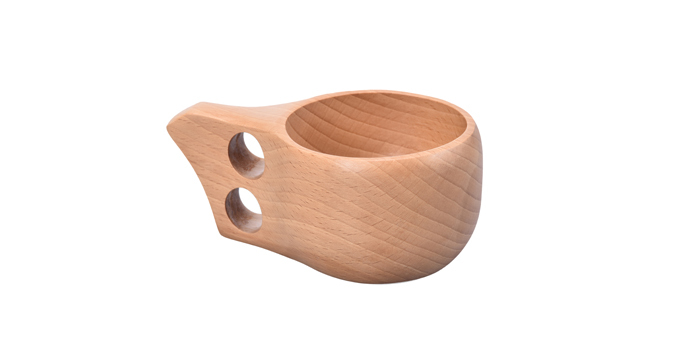 Aside from this hipster looking milk cup, most of IUIGA’s elegant glassware and rustic wooden utensils come from the same manufacturer Muji uses. An elegant organiser to keep your rings in one place, the only downside to this is the lack of colour choices; MUJI has ’em in a variety of cheery colourfuls that’ll spice up your storage space. 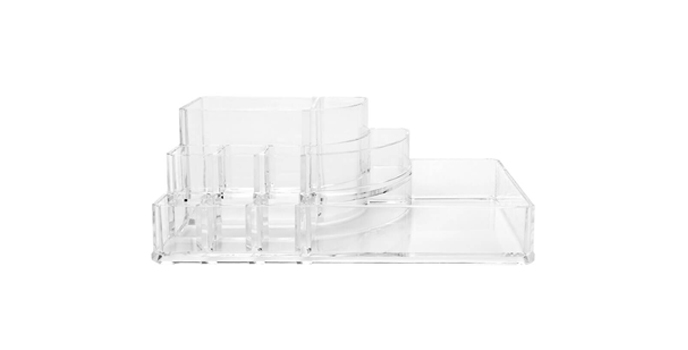 Clear acrylic organisers truly exudes minimalist vibes. 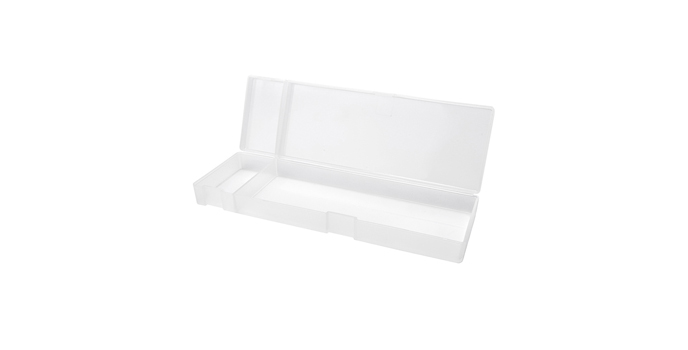 Plus, the dividers on IUIGA’s cosmetic organiser allows you to neatly section out each product instead of leaving ’em in a messy cluster. 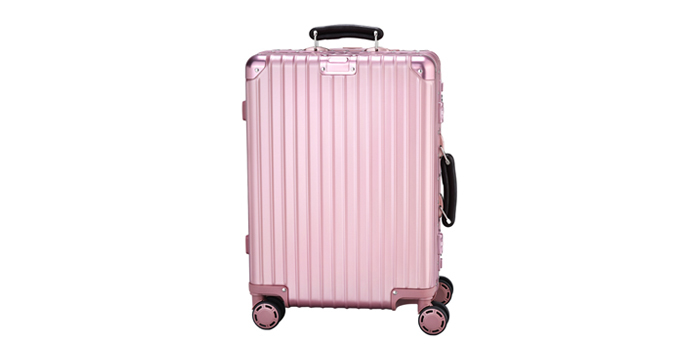 The most coveted item on IUIGA, this hard cased luggage comes from the same manufacturer as Samsonite – a brand known for its stylish yet durable products. And it costs a whopping $46 dollars less! 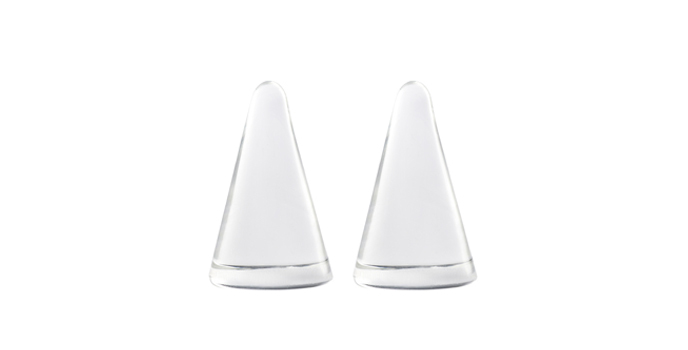 IUIGA’s catalogue of products are updated every week with new releases. Visit IUIGA.com to find out more. Happy shopping! It’s the start of the Hungry Ghost Festival, a month-long affair that is observed during the 7th month of the Lunar calendar. As Taoists and Buddhists believe, the souls of the deceased are released from Hell to roam freely amongst the living – during this time, you’ll see offerings in the form of food, joss paper and entertainment (getai) for the hungry ghosts. And as most would caution, one should pay extra care during the 7th month lest you cross paths with them or even worse, anger these spirits. You’d already know the more obvious taboos to stay away from, like not stepping on joss offerings or staying out late at night. But whether you believe in the supernatural or not, we share some lesser-known taboos to help you stay under the ghostly radar. One that we’ve heard of since young, is that spirits might be reincarnated or appear in the form of animals and insects, especially moths. In the event you spot any winged pals, don’t kill ’em! Instead, leave them be or gently move them outside your place. The Getai shows held during the Hungry Ghost Festival are specially put on to entertain the otherworldly beings. And while these performances are attended by the living as well, you’d notice that the front row seats are always unoccupied. Don’t take the opportunity to snag these VIP seats though – they’re meant for the true guests (who aren’t the living). If you have the habit of doing your laundry at night, avoid putting damp clothes outside to dry as it is believed that it might invite wandering ghosts to try them on and as a result, be brought back into your house when you eventually collect your dry clothes. With the weather being so unpredictable recently, this rule is kinda tricky. Basically, it’s unadvisable to leave umbrellas open outside at night, as it may attract spirits to take shelter under them. Also, opening up an umbrella inside your house after it was used at night is also considered taboo as you may bring in spirits. Perhaps invest in a raincoat? One of the most common signs that something isn’t right in Asian horror flicks, remember not to turn around if you hear someone calling after you, especially if you’re walking in a dark and deserted area! If encountered – *touch wood* – simply keep walking straight and do not acknowledge it. Also, if someone (living or dead) taps you on the shoulder, do not turn your head around to respond as you’ll snuff out the protective flames (one on each shoulder) that human beings are believed to have. Instead, turn your entire body and not just your head to respond. Apparently, being in a sad and emotional state weakens you, which might attract spirits to possess and harm you. Thus, avoid getting upset – especially at night. Forget your selfie game this month. According to traditional beliefs, cameras are able to ‘trap’ spirits and you might even spot ghostly figures in your images. Likewise, do not snap photos of religious ceremonies you chance upon as well, because not only is it rude, you might attract unwanted attention too. If you spot some coins lying on the ground, it’ll be better luck for you to leave them there and walk on by. During the 7th month, the possibilities are higher that these coins either already belong to ‘someone’ (and taking them will piss the spirits off), or that they may be placed there as a bait to possess the unsuspecting person who picks it up. Either way, it’s not a ‘finders keepers’ kind of situation. We’re all guilty of leaning against the wall when waiting around for our friends outside, but try to avoid doing that during this month. It is believed that spirits prefer to ‘stick’ near the walls and/or dark corners. Have a penchant for whistling or bursting out into song randomly? It is unadvisable to do that (especially at night) because these noises might attract unwanted attention. 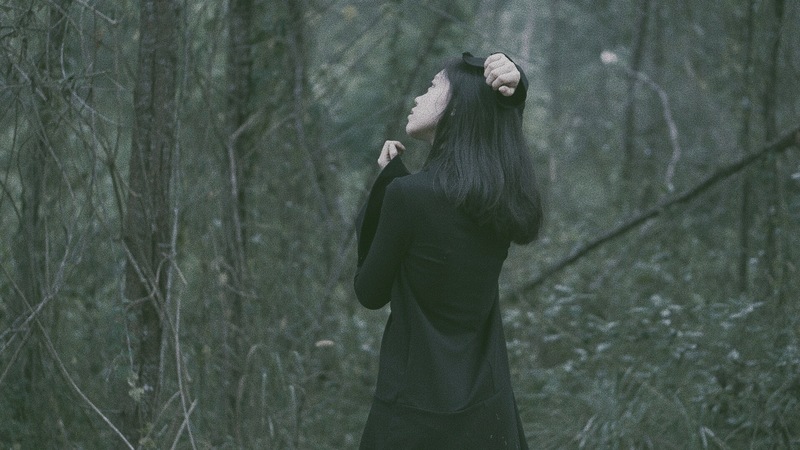 We aren’t sure what’s the reason behind this belief, but superstition has it that spirits are particularly attracted to red or black clothing. The same goes for dark coloured manicures – having black nails might mislead the ghosts into thinking that you’re part of the gang and they might try to lead you back to their ‘home’ as well. With hiking becoming more popular, you might unknowingly commit the error of going to trek or even camp in the jungles. It is believed that spirits tend to wander around here because the shade provided by the trees makes the ‘yin’ energy strong. While cracking the main door open at night provides ventilation and the night breeze, it may invite wandering spirits into your place as well. Keep those doors shut! If you tend to mumble to yourself offhandedly, try not to do so. It is believed that spirits will be attracted to interact with you (because it’ll seem like you’re talking to thin air). Believe it or not, it’s always better to be safe than sorry. What are some of the superstitions you’ve heard of? Share them with us in the comment section! 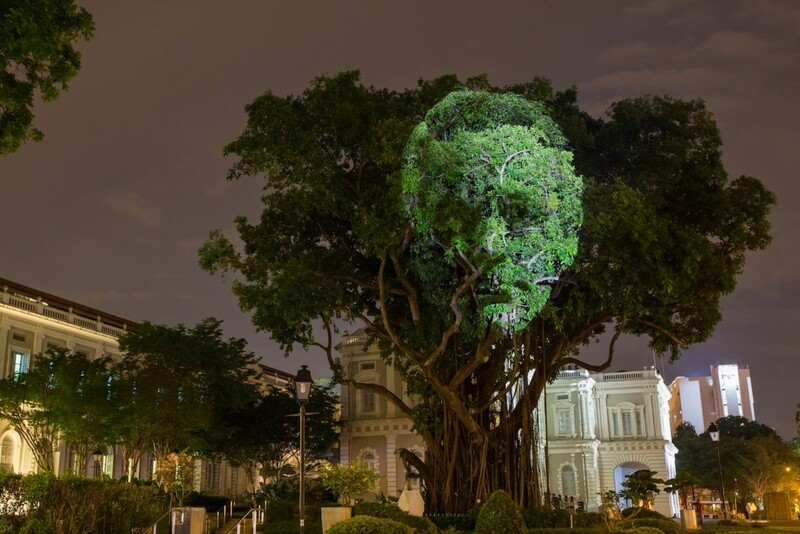 Held over two weekends this year, the Singapore Night Festival celebrates their 10th anniversary of melding together the night with modern art. We shed the spotlight on 10 attractions of the fest you absolutely can’t miss. Art isn’t just for your eyes – arouse your sense of smell at the Aesop exhibition, whereby different scents from sandalwood to bergamot guide you through the exhibition instead of relying on your sight. Only 20 people are allowed in at any one time, elevating the experience for you to new heights. Can anyone say scent-sational? 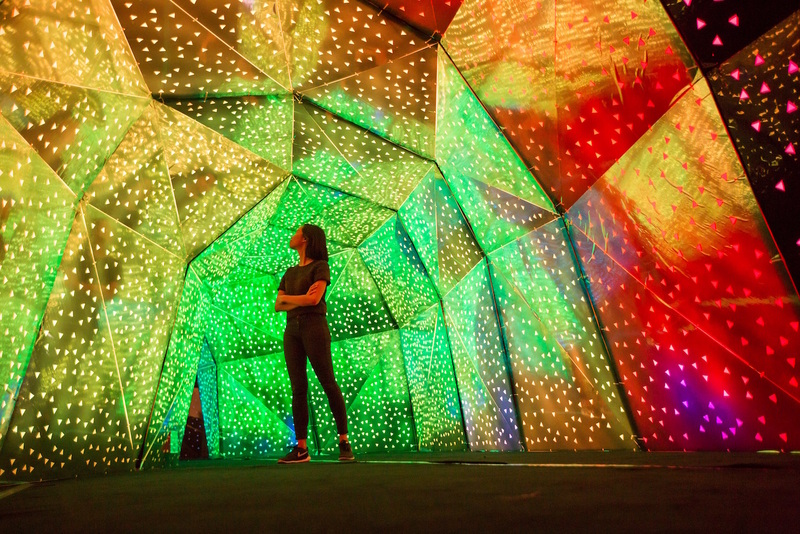 What is certain to be a draw for your Instagram, these colourful, pod-like structures are sprawled across the lawn outside the National Museum, making them impossible to miss. You can even enter the spectrum of hues to immerse yourself fully in the lights, which undoubtedly makes for some cool, futuristic shots. 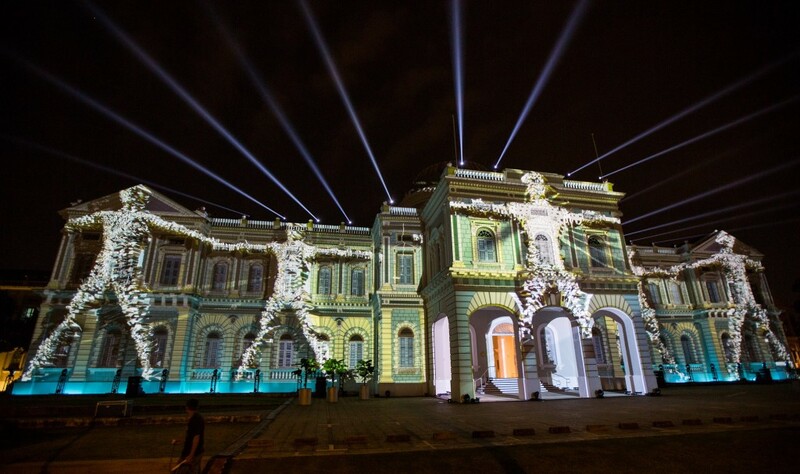 Following the interactive installations within the museum compound, cross over to the opposite side for a majestic view of the National Museum in all its visual glory for Convolutions, a main draw at every Singapore Night Festival. Witness the transformation of the building’s exterior as projection lights, laser, images and music come together for a dazzling feast for all your senses. It’s a staple, so you can’t miss out on this! Over at the Fort Canning Arts Centre, step into a reimagined world made entirely out of Lego bricks. Appealing to both the young and old, the exhibit features World Heritage Sites – including Singapore Botanic Gardens – meticulously created from ground up piece by piece, with the aim of promoting peace and love. And in today’s landscape of the world we live in, it’s heartwarming to see a positive project coupled with the nostalgia of Lego bricks. No, your eyes are not fooling you. At The Tree That Blinked installation just outside the National Museum, the projected images on the tree manipulate and shift over time to form images only you can interpret in your own way. Are the leaves moving? Or is it just the wind? Observe the mastery illusion for yourselves to find out. 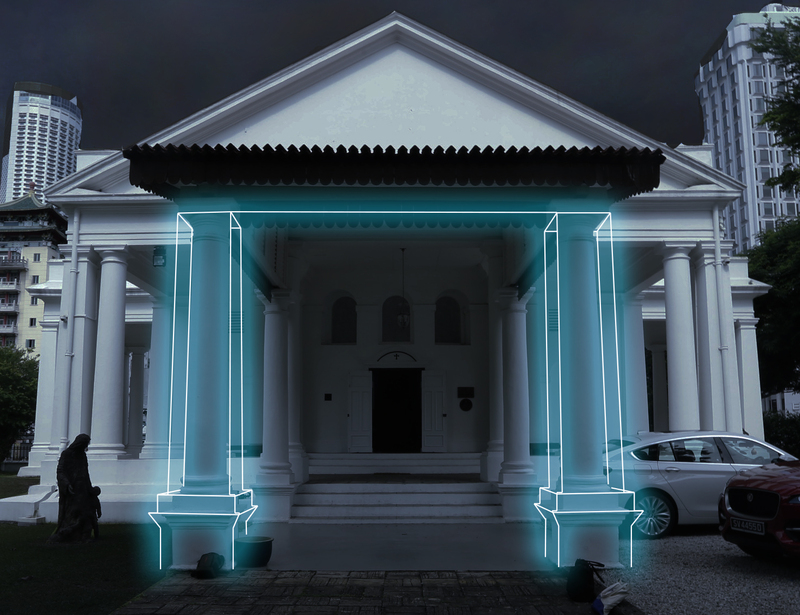 Make sure to bring your DSLR cameras for the magical sight at the Armenian Church. The holy ground is lighted up thanks to neon decoration that frame the exteriors, calling to mind Tumblr imagery or The 1975’s last album cover that stands out among the sea of other Night Fest attractions. 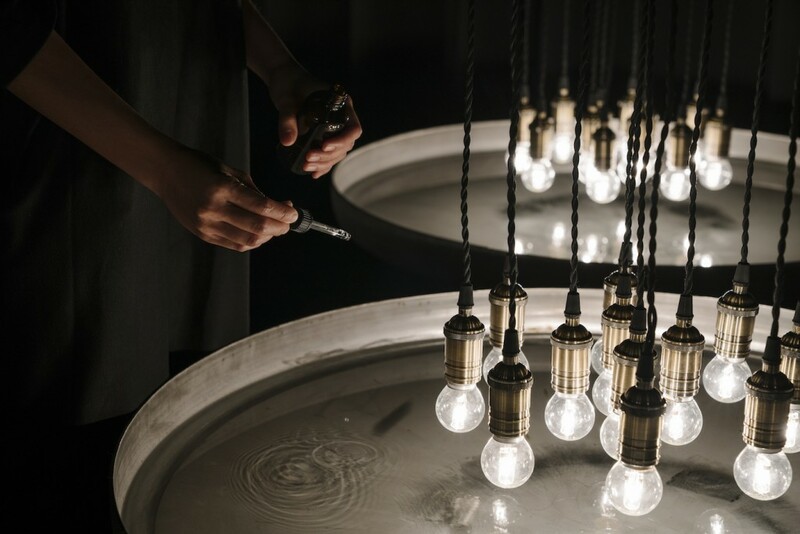 It might not seem much, but the simple, stylistic installations set a mystical tone for your evening. 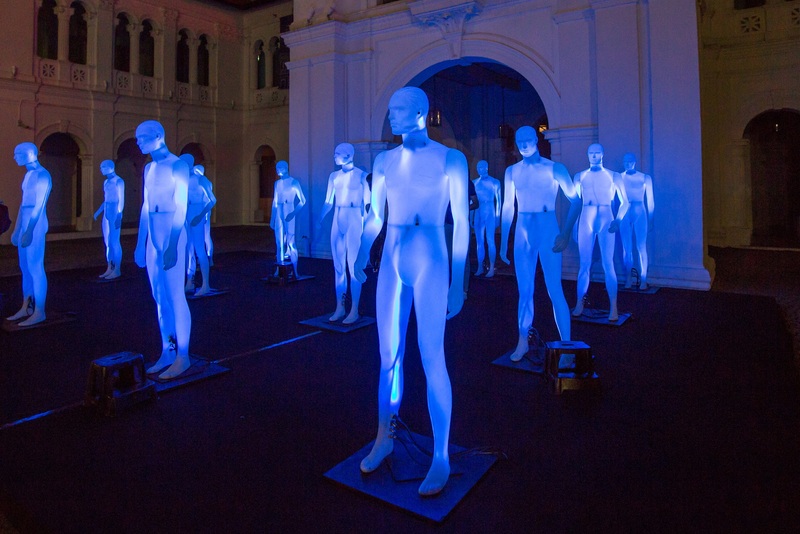 In what seems like a scene straight out of American Horror Story or Westworld, 16 humanoid mannequins align at the grounds of the Singapore Art Museum. And they speak! The figurines are voiced by Bras Basah.Bugis residents and change colours upon interaction, making them super cool, yet super creepy at the same time. 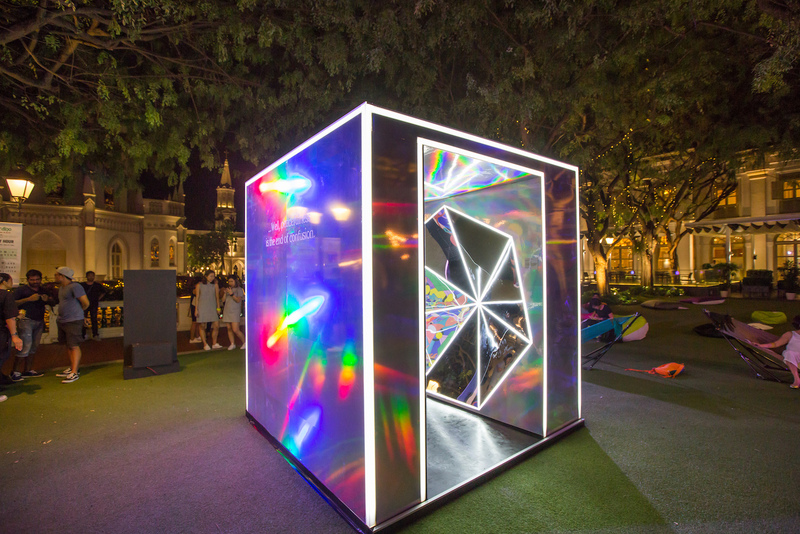 If the crowds at the main area hotspots aren’t your cup of tea, make your way over to CHIJMES where a trippy, hexagonal structure awaits you. 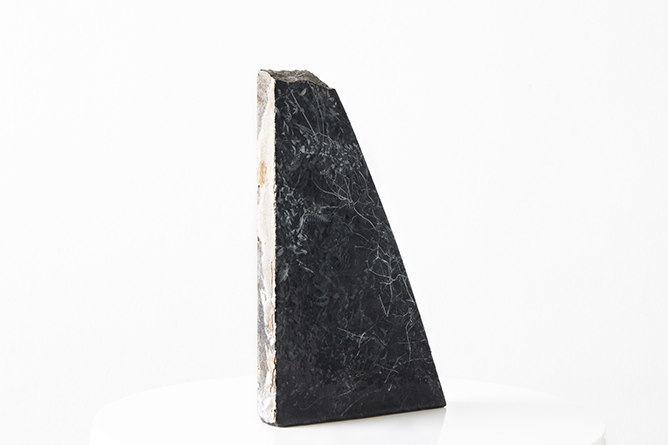 Based off Stanley Kubrick’s black monolith in his cult classic 2001: A Space Odyssey, the art piece is a mirrored wonder symbolising the possibility of multiple realities. Strike a pose in front of it, or simply watch and be amazed at its grandeur – you decide. What’s an arts fest without some rollicking good tunes to accompany your night? Local music takes the stage too over the second weekend. Bust out your dance moves to Riot! In Magenta (24 Aug, 9.45pm – 10.30pm), get lost in the ambient pop of Jasmine Sokko (25 Aug, 8.30pm – 9.15pm) and cap off the weekend of festivities at ATTAGIRL!’s DuriO’s deejay set (25 Aug, 10.30pm – 12am). There’s acts to discover all around the festival vicinity, so make sure to catch these local talents work their magic too. 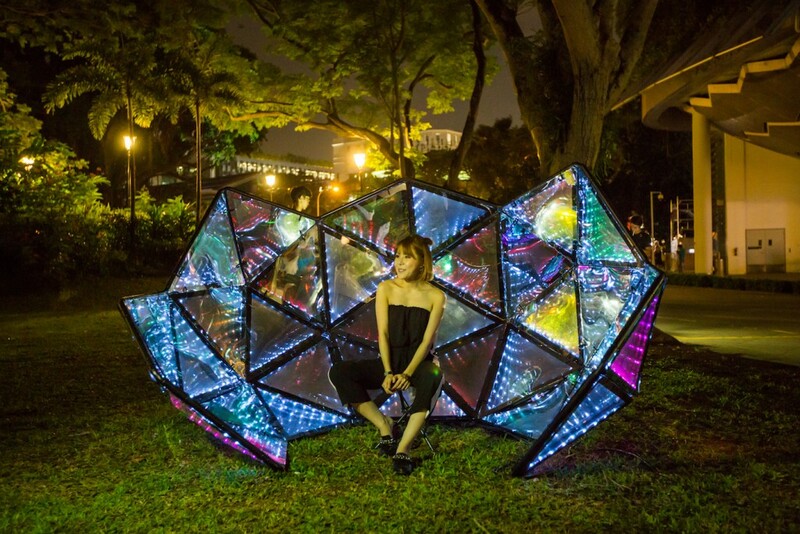 What’s your favourite feature of the Singapore Night Festival 2017? Sound off in the comments below! More related stories: These SG52 Deals Will Have You Over The Moon This August, 8 Insta-Worthy Places In SG To Up Your IG Game, How Hype Is Your Hypebeast Game? Pontianaks, Toyols and even water ghosts. We’re no strangers to spooky stories growing up, often told by parents to scare us into behaving or by friends for the good ol’ rush of adrenaline that comes from getting scared senseless. Check out some of the stories we gathered from people who’ve had spine-chilling encounters with the paranormal. Real or fake, you decide. This actually happened to my younger brother when he was a toddler. I was twelve at that time and this incident happened in my house. During that period, my younger brother loved playing with his ‘imaginary friend’ and would often play hide-and-seek or catching around the house in the afternoon and sometimes at night. When quizzed on who his special friend was, his reply would only be ‘uncle’. My parents and I let him be and attributed these little games to his colourful imagination. However, we started getting worried when these interactions became more personal. An incident I recall clearly was when he offered a cup of water he was drinking from to an unseen presence in a dark room while he innocently asked “Uncle, do you want a drink?” My parents decided to call in a friend of theirs who was adept at all things supernatural to try to chase ‘uncle’ out of the house. During the ritual, my younger brother ran around playing games with the unseen presence again, this time with a more worried expression on his face. He mentioned that ‘uncle’ was angry and that ‘it’ wanted to catch him. My parents then asked “how do you know uncle is angry?” His reply made the hairs on the back of our necks stand. “Because ‘uncle’ came up to me and did *this*”. My little brother balled his fists and placed them on his hips while pulling the ugliest face he could, while grunting in a low voice. My parents and I were so freaked out and hoped that this evil presence could be driven out as soon as possible. Thankfully, my family friend managed to drive the spirit away. He mentioned that it was a passing spirit that followed us home during one of our late nights out and had taken a liking to playing with my little brother. This prompted the spirit to linger and eventually take refuge in our house. Ever since then, my family vowed to cut down on our late night outings to avoid a repeat of such an incident! My friends and I pride ourselves on being daredevils despite being a group of four girls. We love seeing the shocked look on our friends faces when we tell them about the many horror ‘hotspots’ we’ve explored all around Singapore. So late one night, the four of us yet again decided to go ‘ghost hunting’ together, this time at one of the cemeteries around Singapore. When we arrived at the said location, we felt unusually nervous and hesitant to enter the area even though it wasn’t our first time going on these night escapades. However, being the self-proclaimed leader of the group, I urged them to enter with me and begin our ‘hunt’. Throughout the walk we became increasingly frustrated that we could not spot any paranormal activity and I started remarking loudly to my friends that this place didn’t live up to its hype. Just then, I accidentally kicked a bunch of offerings placed on the ground near one of the gravestones, scattering the items everywhere. I brushed it off and jokingly taunted that this would give more reasons for the spirits to appear and punish me for my wrongdoings. The night passed without incident and I sent my girlfriends home accordingly. After parking my car, I started walking towards my block but had a strange and uneasy feeling of being watched. This feeling dogged me throughout my lift ride up to my floor and even up to my doorstep. As I was unlocking my door, I suddenly heard a very feminine giggle behind me, from the area beyond my parapet. Panicking, I fumbled with the keys but managed to enter the house, slamming the door behind me. I washed up and ducked under the covers of my bed in the lower level of a double decker bed that I shared with my younger sister. I must have drifted off asleep after a while, but I was jolted awake by the sound of the same feminine giggling again, this time from the inside of my room. Shivering with fear, I saw a pair of legs dangling and swinging casually from the top deck of the bed! What made it worse was that I realised my sister was overseas on a school trip and would only be back next week, so it couldn’t be her. Muttering all the prayers I knew, I kept my eyes tightly shut until the morning light. Thankfully, nothing else happened but I learnt my lesson. Playing with fire will get you burnt! This particular incident happened to my friends and I at a class chalet that we had. It was a fairly ordinary evening that started off with a barbecue and ended with the usual activity us guys enjoyed – trying to spook each other with the best ghost stories. Our storytelling session carried on late into the night and it was almost 2 AM when we decided to venture out around the chalet area to grab supper. By then, some of our classmates decided to go home as well, so only five of us were left to stay on for the night. As we were walking back to the chalet after supper, my friend Adam* and I noticed something strange. As our chalet was two-storeys high, we could see that the room light on the second storey was still switched on and that there was a figure standing by the bed. Our other two friends were absorbed in conversation while our friend John* seemed absorbed with something on his phone. Gulping, we decided not to alarm anyone and entered the chalet as per normal. John and our two friends decided to sleep upstairs that night, but were puzzled about why the room light was switched on as they distinctly remembered switching off the lights before leaving for supper. Needless to say, Adam and I decided to sleep downstairs that night. The next morning, Adam and I decided to come clean with the rest of our friends on what we saw as we were walking home from the chalet the night before. As expected, they laughed at our story claiming we were hallucinating from the lack of sleep. John then left to take his shower in the toilet upstairs, but quickly ran back to us with a pale look on his face. He urged us to come with him to the toilet to take a look at something. Bracing ourselves for the worst, we followed behind him to see what had caused such a reaction in him. Littered around the sink were strands and strands of long black hair that could only belong to a female. My friends and I were from a boys school, so there were no girls at the chalet since last night. Also, no cleaners had entered the chalet since last night as we had not checked out. It was safe to say that we were one of the earliest guests to check out from that chalet that day! This happened during my National Service days, but I won’t reveal which vocation nor unit I belonged to. The level my bunk was located on was infamous for many paranormal activities. This included things like hearing children’s laughter outside of the doors, or small feet running up and down the hall in the middle of the night. We were simply told to ignore it as ‘what you don’t bother will not bother you either’. Anyway, my story involved a scary incident that happened when I visited the toilet one night. It was in the middle of the night when I woke up with a full bladder. Failing to wake my buddy up, I decided to venture to the toilet at the end of the hall on my own. As I walked to the toilet I realised that the automated light was not switched on, meaning that it did not detect any movement and hence there was nobody else in the toilet. I felt uneasy but decided to carry on anyway. When I entered the toilet, I automatically headed for my ‘favourite’ cubicle all the way at the end due to fact that it was more spacious than the rest of the cubicles. As I edged closer to the cubicle, I strangely smelt the sweet fragrance of jasmine which was unnatural in such a place like the toilet. Nonetheless, I continued inching slowly towards my desired cubicle ignoring all the warning bells ringing in my head. When I finally pushed open the door to the cubicle, I got the shock of my life. Squatting on the toilet bowl was a strange, black and hairy creature! What’s worse was that the moment I made eye contact with this creature, ‘it’ started screeching in a very high pitched voice. I could barely register who or what this foreign entity was as my adrenaline took over and my quivering legs whisked me out of the toilet at top speed. My terrified screams woke my bunkmates up as I jumped straight under the covers in fear, but they needed no explanation. That night on, nobody else dared to visit the toilet without the company of at least one other person. Do you have any encounters of the paranormal kind that you’d like to share? Share them with us in the comment section!